Our selection of refurbished equipment has been carefully examined and tested by our very own technicians to ensure their reliability. 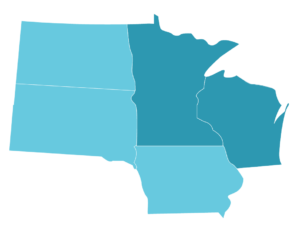 Minnesota Medical is excited to now offer repair and maintenance services on ultra-low freezers, environmental chambers, and other medical refrigeration equipment. There is no upside to downtime. Equipment failure is a double whammy of lost revenue and unexpected expense. Our certified technicians will keep your equipment performing to factory specifications. Call today to learn about routine maintenance plan that’s right for your needs and your budget. Everyday wear and tear can compromise the safety of your patients and staff. Troubleshoot potential hazards today with an electrical safety inspection from MN MED’s certified technicians. From routine maintenance and calibrations to safety inspections, we do it all. When your equipment breaks down, don’t hit the panic button. Our certified technicians can quickly diagnose most problems over the phone and be there in a flash to get you back up and running ASAP. Better yet, avoid costly and time consuming breakdowns in the first place. A preventative maintenance contract from MN MED helps keep your equipment in top form, increasing its life expectancy and boosting your bottom line. We offer a range of plans sure to suit your needs and budget. Call us today for a quote. When time is on your side, drop off your equipment at our repair facility and save money. With in-house certified repair technicians and in-stock factory parts for common makes and models, MNMED can fix it quickly and efficiently. When your equipment is out of calibration, you may not be able deliver the most accurate, effective treatment. High tech equipment needs high tech calibration. MN MED technicians will help your equipment perform according to original factory specifications, week after week, day after day. Patient and staff safety is your top priority. Everyday wear and tear may cause broken ground wires inside power cords or excessive electrical current leakage that compromises the safety of your patients and staff. Troubleshoot safety hazards with a electrical safety inspection from MN MED’s certified technicians. When you’re looking to upgrade or expand your equipment, our expert sales team is there to help you find the equipment that meets your specific needs and goals. Backed by an extensive inventory of new and reconditioned equipment from industry-leading manufacturers, MN MED will help you identify and procure the most cost effective solution.